Corporate Auction. Acreage with Development Potential, 4959 Hacks Cross Rd, Memphis, TN 38125. 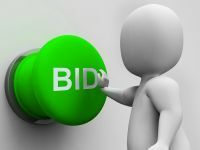 Online Auction ends April 30, 2019 at 5pm.